The NSW 190 Priority Skilled Occupation List for the 2018–19 financial year is published below. We will continue to select and invite top ranking candidates in occupations on the NSW 190 Priority Skilled Occupation List (NSW 190 List). We will select and invite candidates on an ongoing basis throughout the financial year. There are no key dates involved in this process. The NSW 190 Priority Skilled Occupation List (NSW 190 List) contains the priority occupations that NSW will invite candidates under for nomination for a skilled nominated visa (subclass 190). In determining the occupations on our priority list, NSW uses Commonwealth and state employment data as well as evidence-supported feedback from NSW industry. The occupations on these lists are selected to meet the skill needs of the NSW economy. Our lists will be amended from time to time according to the skills needs in NSW. 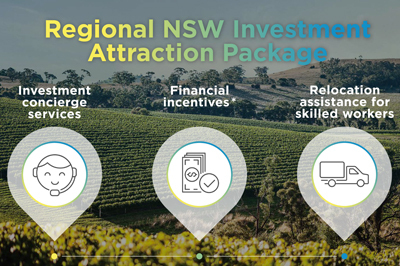 We also limit the number of invitations to certain occupations to ensure that places allocated under the 190 program are in line with the skills needs of NSW. The highest ranking candidates in occupations on the NSW 190 Priority Skilled Occupation List (NSW 190 List) will be invited first. For an overview of the 190 application process, download our how to apply fact sheet. Candidates seeking NSW nomination for skilled regional migration (489) should contact the NSW region that they are interested in. Visit Skilled regional nominated migration (489) for contact details. Sign-up to our e-news service to receive updates from the department.